Nearly a year and a half ago my husband and I committed to a cash envelope system and we are so happy we did! I like spending money and my husband does not. Before the envelope system, he would keep tabs on the bank balance while I went around my domestic duties: buying groceries, keeping up the household, and clothing shopping for our two growing children. I was an expert at using coupons, shopping clearance and finding rock bottom deals. What I was not good at was keeping track of my spending. Matt would tell me when we were nearing "broke" for the month. AHHHH! I would be frustrated with myself for over spending, and filled with buyers remorse over all the fab deals I scored. It would frustrate him that I couldn't stick to our budget when using the debit card. I have the same problem with calories, I consume more than I should unless I keep track of them. We had read The The Total Money Makeover and were applying a few of his principles, but hadn't tried the cash envelopes. After several months of going over budget, we decided that we had to use the cash system to stay on track. Paying down debt was important to us and not overspending was crucial. 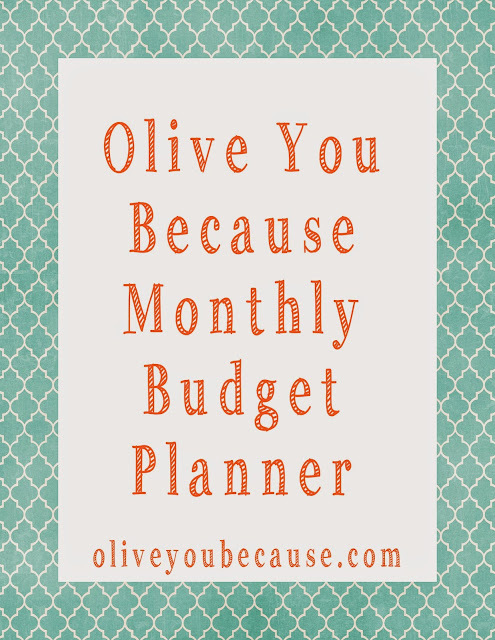 We evaluated our spending, set realistic goals, and recalculated our monthly budget. We now utilize the cash envelope system and online bill pay to keep our budget in check. We try to use a Zero Balance budget meaning our income-bills-expenses=0. Matt pays bills like the mortgage, utilities, and phone online. We take out $600 in cash every month: $400 for grocery/dining out, $100 for household, $50 for clothing, and $50 for misc. spending. We use our debit card for gas mainly because pay at the pump is convenient, but still have set a budget and stick to it. We usually are under budget for gas and that allows us to pay more towards what we owe. It is a great feeling when you pay off credit cards and pay down debt. Using cash envelopes has been a liberating experience. At first I felt humbled when I would have to tell a friend that I couldn't go out to eat because it didn't fit into our budget, but most people understood. It took a few months and some creative planing to be able to stretch our money through the month. Matt and I usually go out to eat 2-3 time per month for date night and strive to spend $25 or less, including tip. We often frequent a local Mexican restaurant and order from the a la cart menu. Ordering off the a la cart menu helps keep our bill and calorie intake low. We never leave hungry. 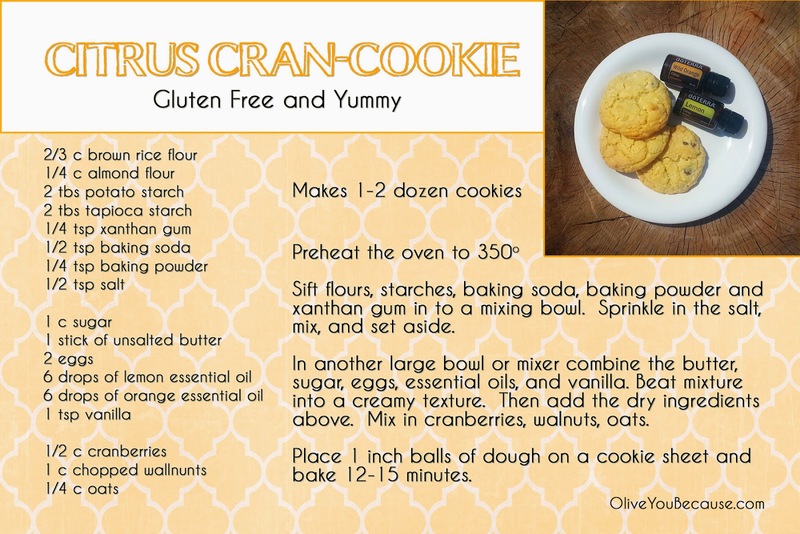 We also eat well at home utilizing coupons and stocking up during sales. My Milwaukee Mommy is a great resource for a coupon/ad match up. She also posts great online shopping deals. If we purchase items online we remove the money from the envelope as if it were spent and redeposit it into the account. This practice also applies to the Target Red Debit Card which we use because it saves us an extra 5% on our purchases at Target. We have become very efficient with our cash system and have had a few months when there was surplus. 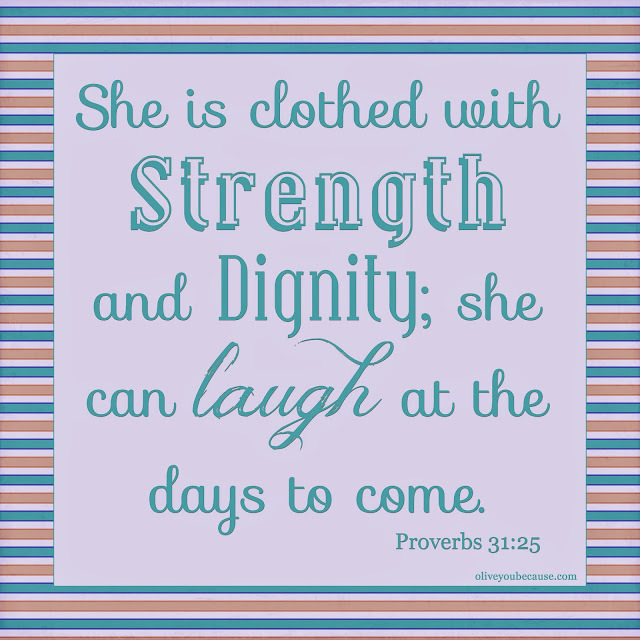 Clothing is the only envelope that we let accumulate, if there is a $20 surplus in household from March we only withdraw $580 for April. Then we apply the $20 March surplus to our efforts to pay down debt. At first it can seem impossible, but with hard work and dedication, I promise it does get easier. There are many tools to help you organize your cash system. Choose your fabrics and interface. 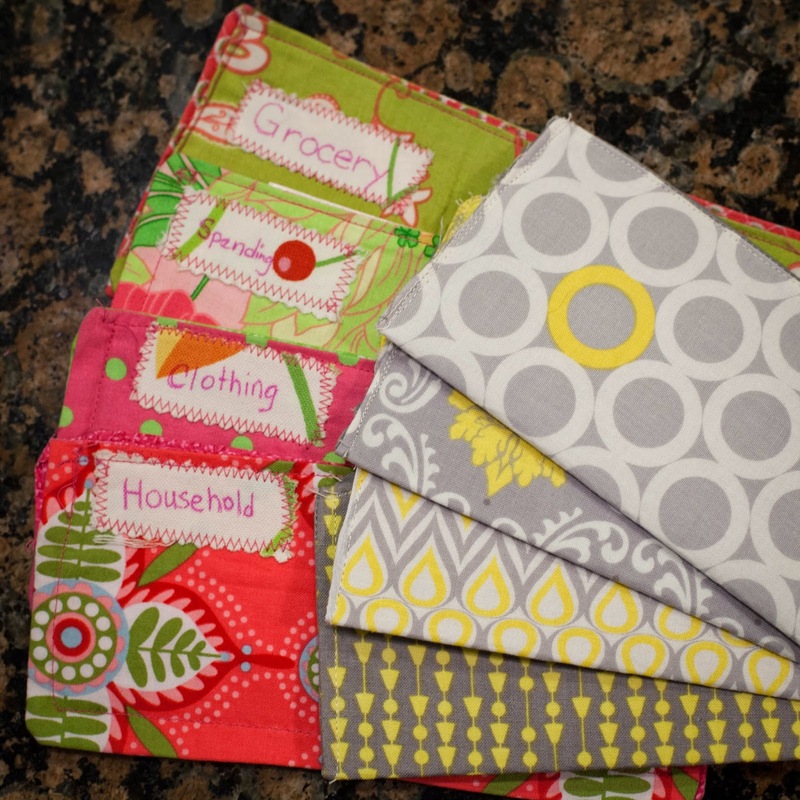 Cut two 7.25" squares of fabric and one square of iron on interface per envelope. 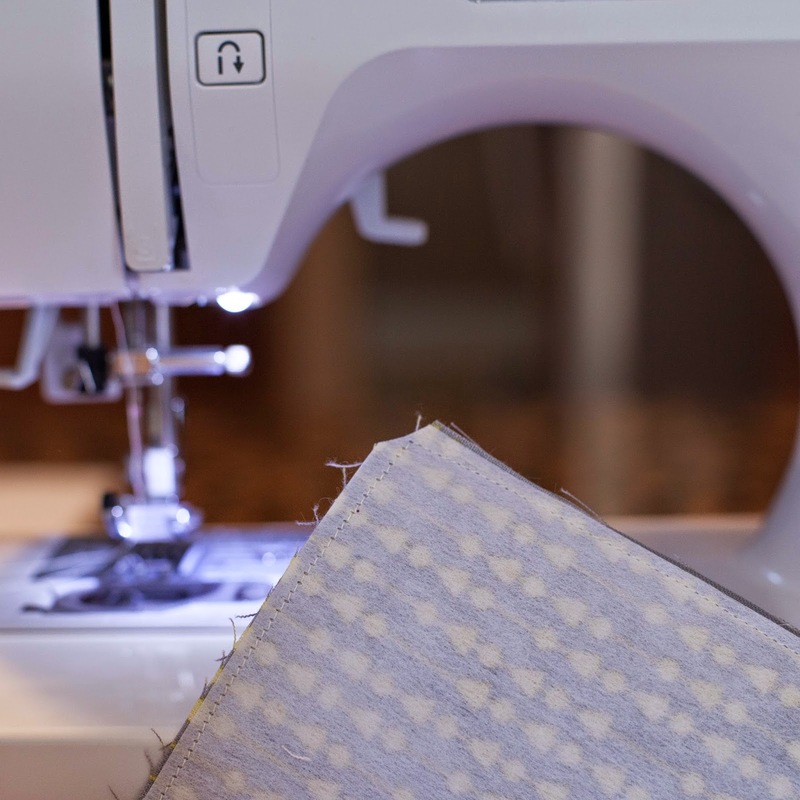 Fuse the interface to the back side of one fabric square. 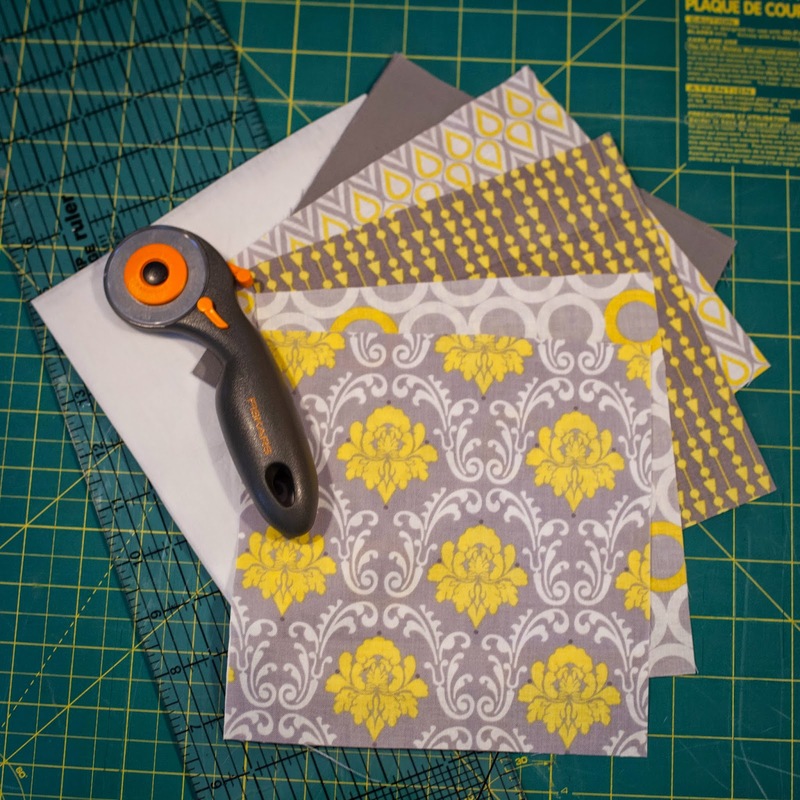 This will stiffen your fabric so that it keeps its shape. Cut the corners off, do not cut the into the seem. Then turn your envelope right sides out. 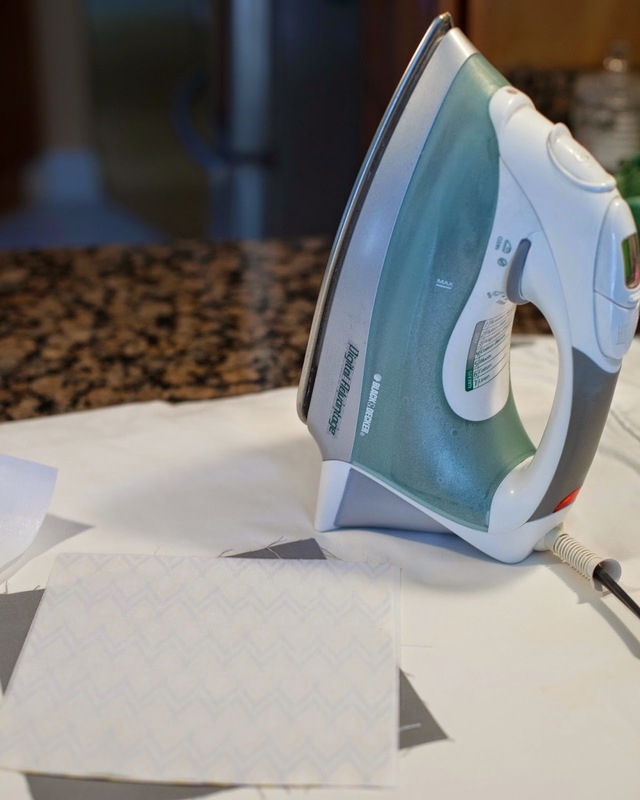 Press your envelope with an iron tucking the open edge. 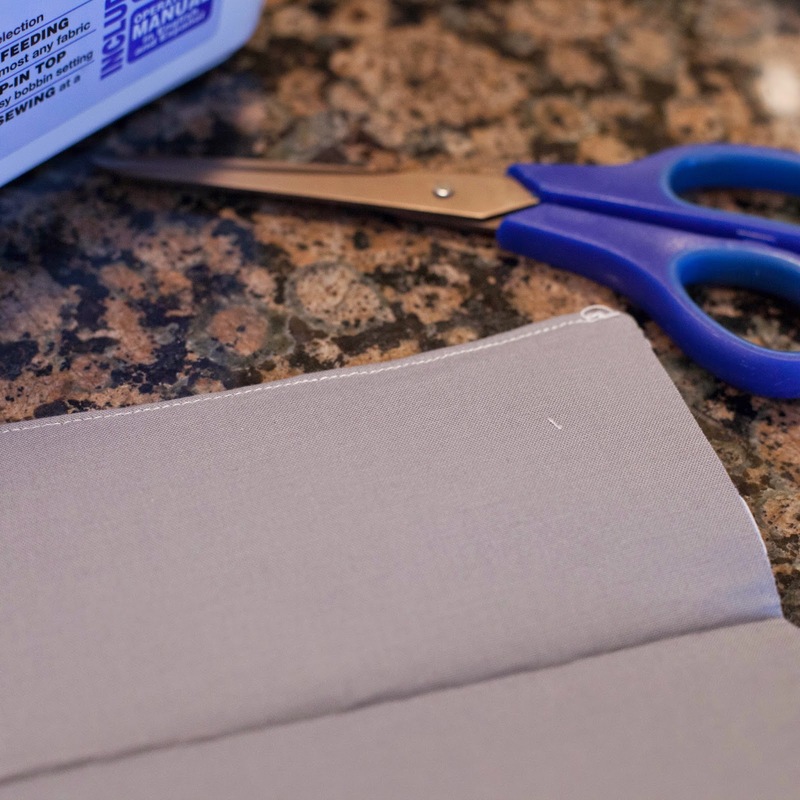 Sew a top stitch along the opening of your envelope. 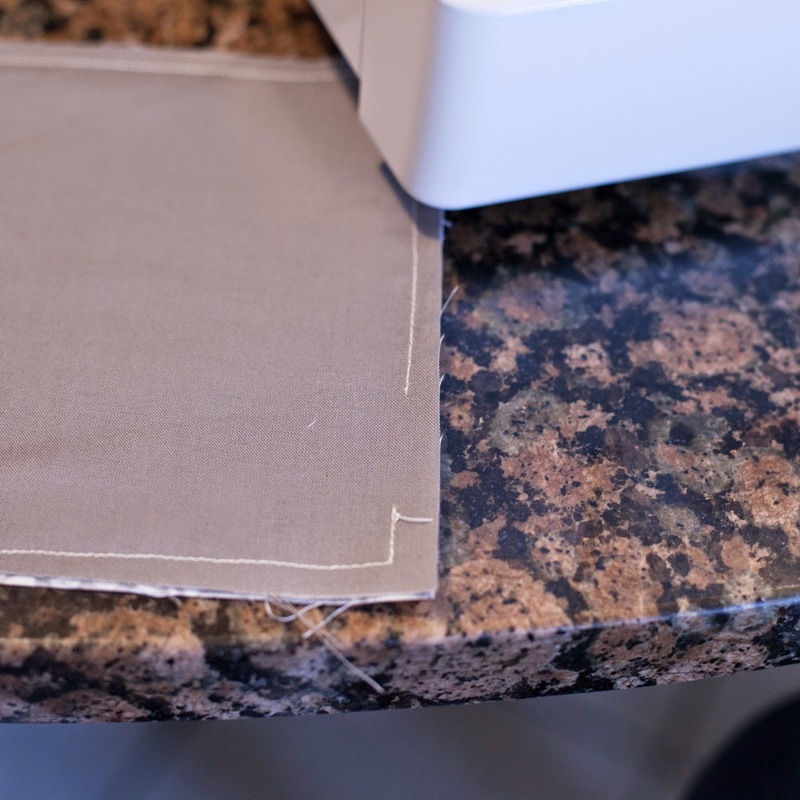 Fold edges together and sew along the side being careful to tuck in the open edge. I created labels for my first set of envelopes. 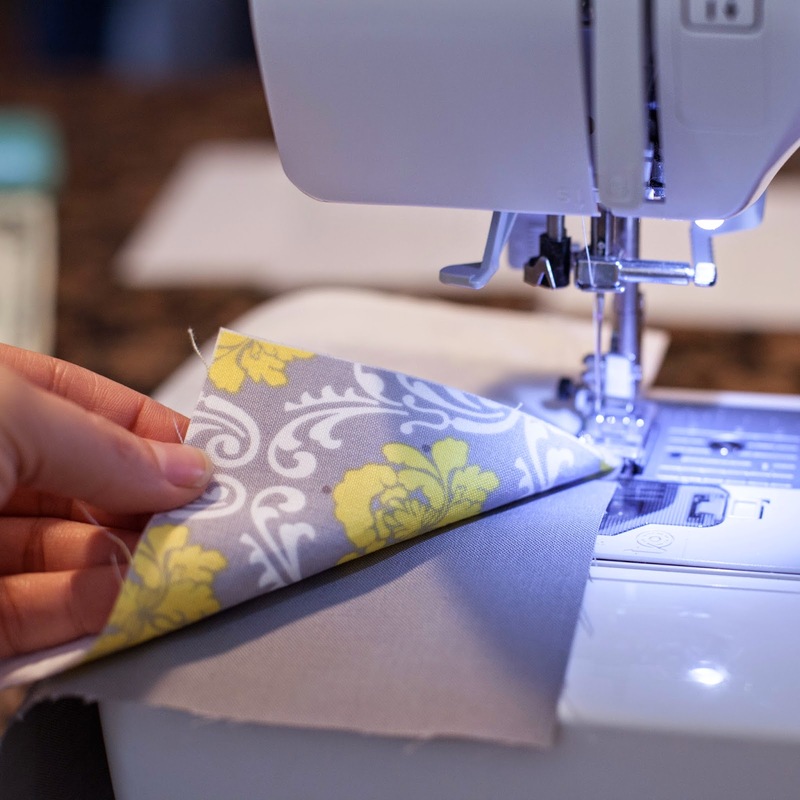 You can make them buy cutting 0.5" by 1.5" strips of fabric and sewing them on before your close your sides. 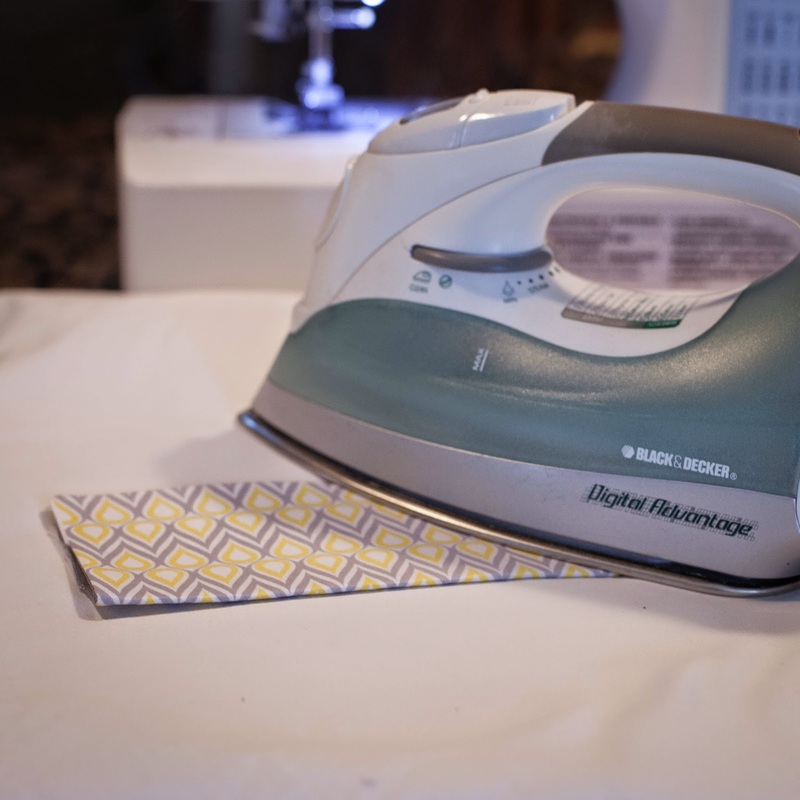 I have chosen to go with Avery No-Iron Clothing Labels this time. 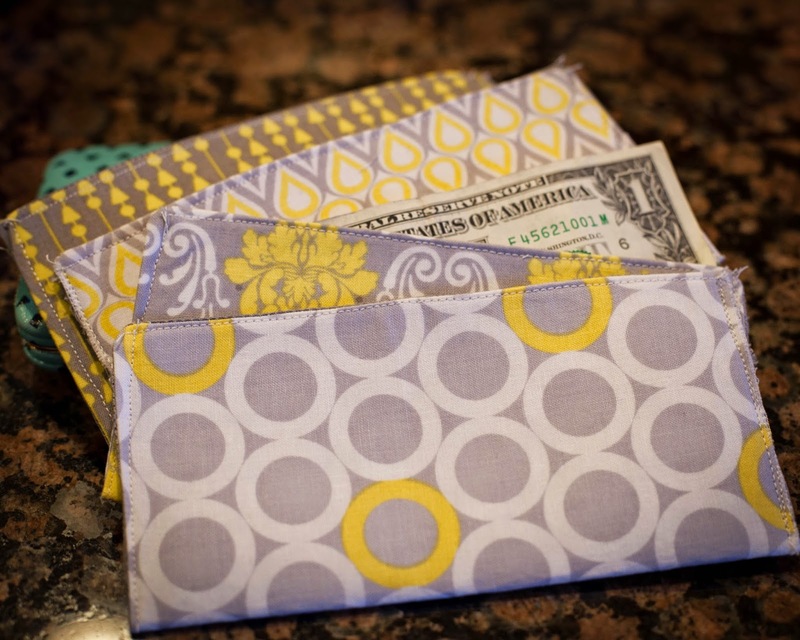 I plan on making a matching wallet too! Living on a budget takes some time and effort, but is well worth it. Here is a tool to help you get started with your family's budget. We use online payment tools to pay the monthly bills like our mortgage, utilities, phone and the such. We use a cash envelope system for all the other monthly expenses and I will post on that soon. To get started gather bank and credit card statements, write down where and how you spent your money last month. Compare your spending to the suggested budget table in this printable. The suggested budget percentages are from Dave Ramsey'sThe The Total Money Makeover . Then make adjustments for your next month's budget. Track your spending by keeping all your receipts for the following month and find areas that you can cut your spending. Set realistic goals, and stick to them. We found that shopping sales and using coupons helped us cut our grocery bill drastically. 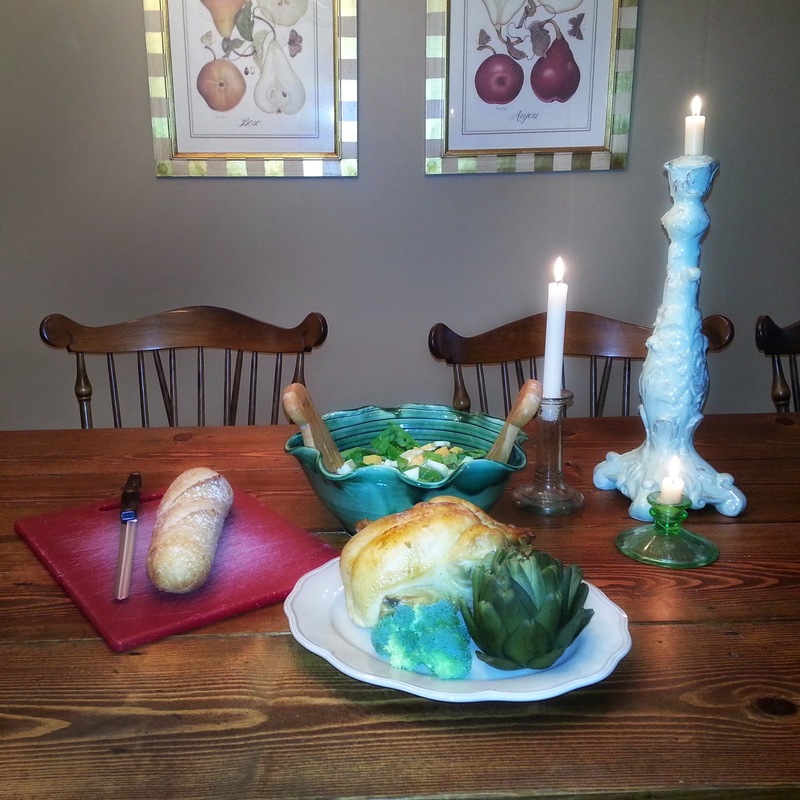 We budget $400 total for grocery and dinning out per month. This usually breaks down to $75 per week for grocery and $25 for dinning out. We stock up on items that go one sale and freeze meats and produce when needed. A great resource for learning when to stock up on items is the book Saving Savvy: Smart and Easy Ways to Cut Your Spending in Half and Raise Your Standard of Living...and Giving , by Kelly Hancock. It took a few months to get a stocked pantry and freezer, but now it is all set and we are able to restock when needed. Good luck with your budgeting adventures! Itchy eyes, scratchy throats, coughing, and nasal congestion are all common symptoms in our household during the spring and fall. We are no strangers to outdoor allergies. Mine often hit me in early March when the thaw begins. It always starts with a scratchy throat and a horse voice. My sinuses become congested usually within the week. Sure enough I find myself wishing I had taken something earlier to help my allergies because I have a full blown sinus infection. But it doesn't stop there I will typically develop bronchitis before I can conquer the sinus infection. I have marked my next year's calender for late February to begin allergy symptom prevention. Allegra, Claritin, Zyrtec, Singular, Rhinocort, Flonase, and Albuterol were all common drugs in our medicine cabinet. I would take anything to relieve my symptoms, but there was just something that bothered me about handing my eight year old daughter a Zyrtec every morning to ease her allergy symptoms. I know the miserable experience of allergy season, I didn't want her to suffer, but I also wanted to be sure that I was helping her without causing unwanted side effects. Local honey is a natural tool to help with outdoor allergies. My girls love a teaspoon in the morning. They also enjoy the honey filled straws from the farmers market as an afternoon snack. We have used local honey for the past few years, but have always needed something stronger to overcome the allergy symptoms. 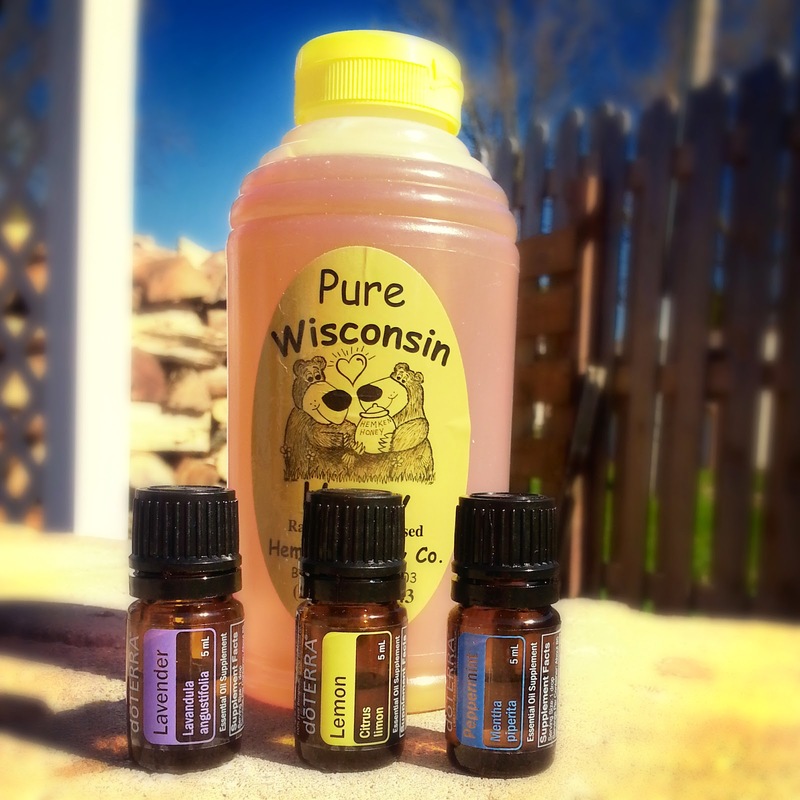 This year I discovered a blend of essential oils that have kept the bottle of Zyrtec closed, and our sinuses open. 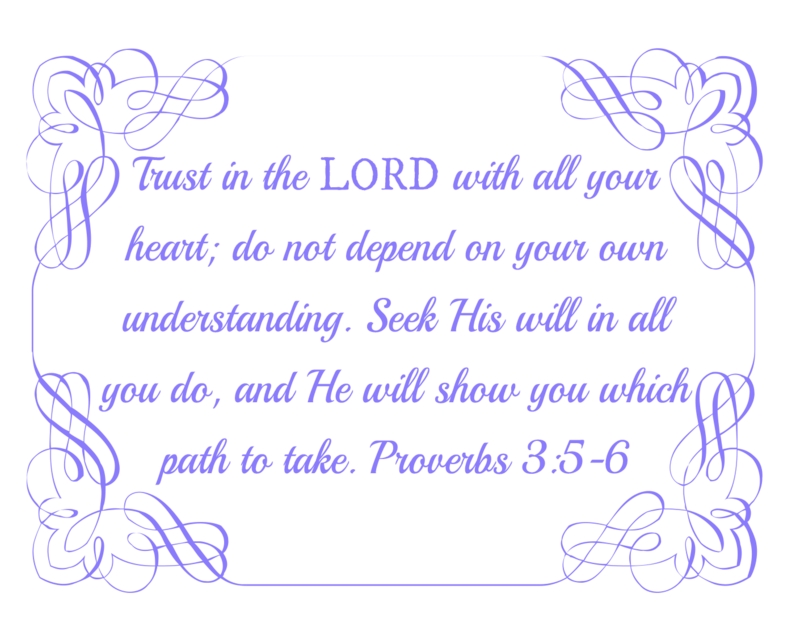 I began exploring essential oils about a year ago and they have given our family the freedom to choose a safe and natural healthcare approach without pharmaceutical medications. We have use them for many things including their medicinal purposes, so I didn't think twice about trying them for our allergies. 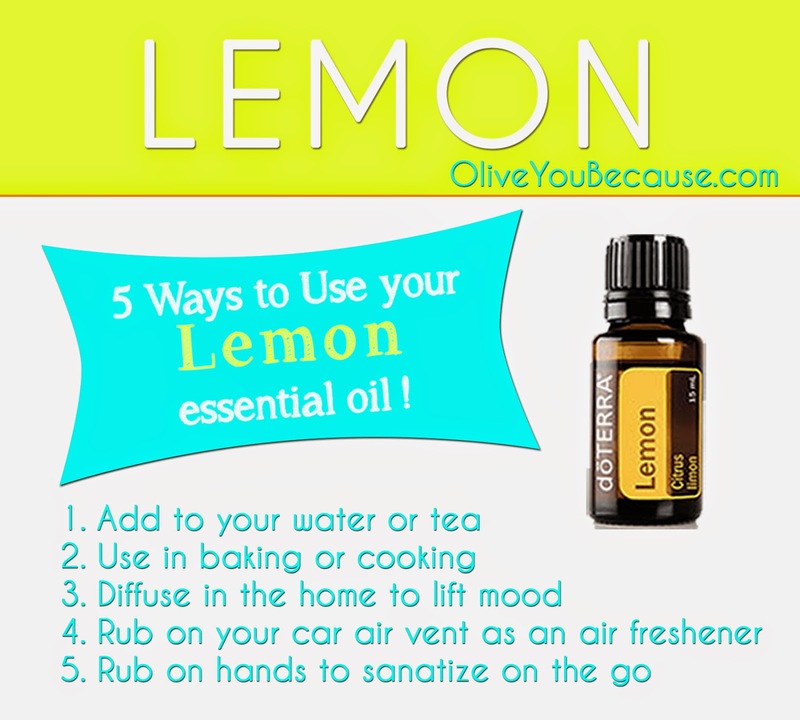 There are many ways to use essential oils and they have many benefits. Our family will use a small shot glass of water, 2 drops of Lavender Oil, Lemon Oil, and Peppermint Oil. We swish it in our mouths (because there is a ton of capillaries and blood vessels for rapid absorption) for 5-10 seconds, then we swallow. It is an acquired taste, but the instant relief is worth it! There are alternative methods as well that help with the taste like mixing the oils in gel caps and swallowing or you can combine it with a teaspoon of local honey. It is important that you use pure, therapeutic grade essential oils, especially if you are ingesting them. I did a lot research and found cheaper oils on Amazon or at the health food store. But all of them came with a warning "Do not ingest." 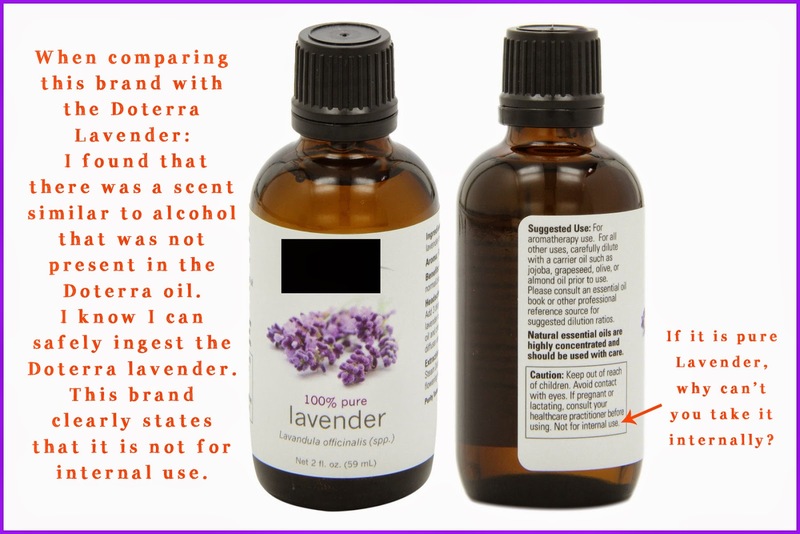 or "not for internal use," these two phrases are huge indicators that there is something else in the bottle other than the essential oil. One oil even read 100% Pure, but when reading the ingredients it read Chamomile oil in Almond oil, but that doesn't seem pure to me. I am certain that I am getting the most potent, pure, therapeutic grade essential oils with Doterra, not a diluted substitute. I chose a wholesale membership through Doterra that saves my family money and even rewards us with FREE oils.